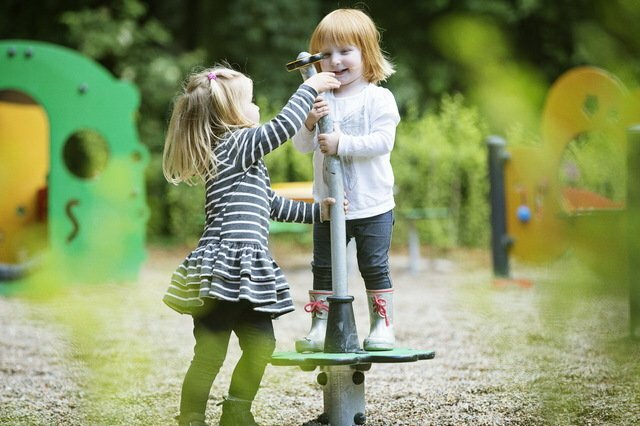 The institute collects data from and work with universities, researchers and practitioners of playground issues internationally, to continuously improve KOMPAN’s knowledge on play. Much of the knowledge is on user needs, and the institute engages with users of all ages to source relevant feedback to product innovation.The KOMPAN Play Institute performs studies in children’s development through play. The main focus is how good play design can motivate children, families and communities to be play, interact and learn. Physical activity should be based on age relevance. From infancy to adolescence, children go through stages of physical development. They develop their motor skills, such as their sense of balance. They train their muscular control and strength. They grow strong bones through physical activity, and , not least, they train their condition. It takes a varied play offering to support and motivate the full scale of movement – repetitive movement won’t do the job. The KOMPAN Play Institute desk research shows, that there is evidence of play being the best way to support voluntary, intense physical activity in children. 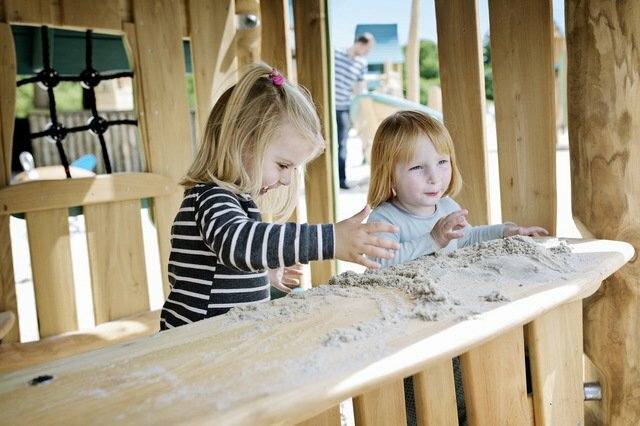 Research shows that free access to a well-planned kindergarten play area made the 3-6yearolds 33% more physically active that the children in the control kindergartens. Children learn through play, and what they learn changes as they get older. In early childhood, play supports the basic executive functioning skills of working memory and self-regulation, and basic life skills and knowledge. As toddlers become preschoolers, play should support learning of more complex cognitive processes such as abstract thought, problem-solving, planning and goal-oriented behavior. Games appear and should increase in complexity to require more thought, memory and self-regulation from the child. Through play, pre-adolescents increase their executive functioning skills: they become better at strategy, behavior planning and action execution to achieve goals, all of which is supported through play, rule games in particular. Positive social interaction is the cornerstone of every thriving community. More and more families live in cities. For city-dwelling families, playgrounds are free and fun areas for spending positive time together, being physically active and taking ownership of their community by connecting with others. KOMPAN’s wide range of play and activity solutions support the positive interaction of all ages and abilities. Designed wit universal design principles, the designs are socially inclusive with room for all abilities and with age appropriate design.